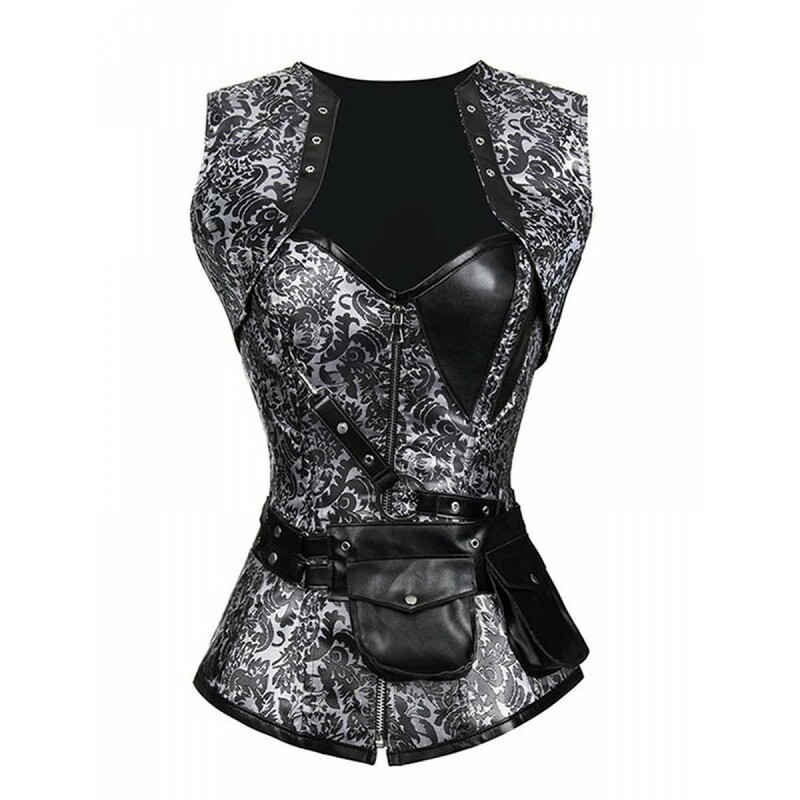 Brocade corset of great elegance. The rods of great resistance. Elegant and very sensual Corset Black with Zipper. 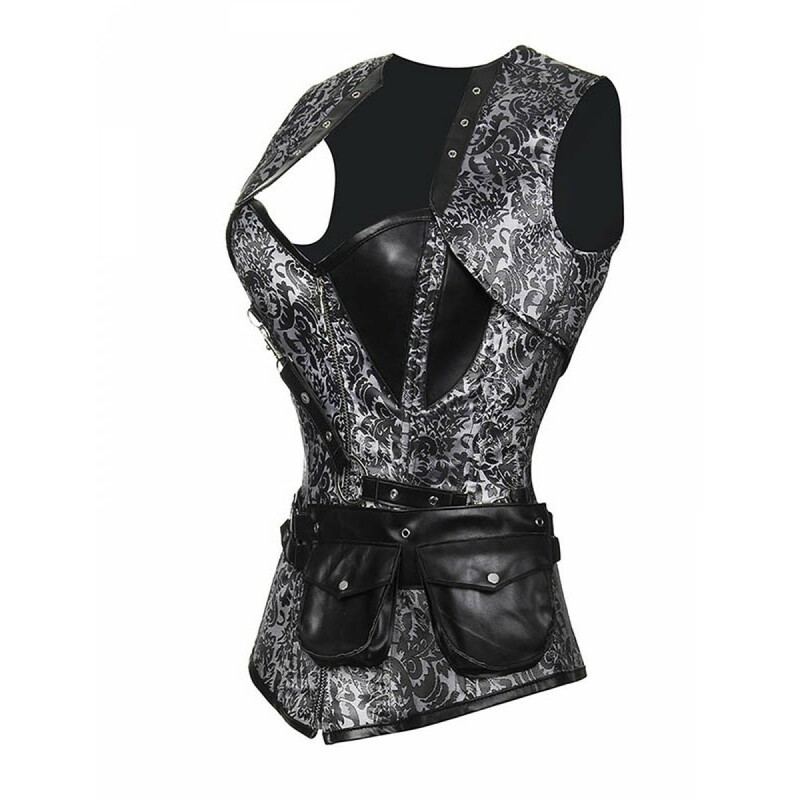 A beautiful corset with a nice floral brocade like design printed on the garment. PVC rods Front center zipper and back lacing. For lovers of corsets. You'll love it! Combine it with some leggings.